Is Your Head in the Clouds...How About Your Storage and Computing? Once Upon a Time everything you worked on was stored locally. In other words, it was stored on your computer. If you wanted to share, it you would “sneakernet” it over to them - put it on a floppy disk (what we had before flash drives), and walk it over to the person you wanted to give it to. In extreme cases, you might have sent it via interoffice or postal mail. In time people started emailing documents and other file formats to each other, hoping that the person they sent it to had the right tool or software to open those files. If you worked for a company, you might have stored it out on the shared network drive you had access to - again hoping that the person you needed to share with also had access (and knew how to get to) that same network drive/server. In this case, the word “network” referred to a machine somewhere in your company's building where everybody would store files that would hopefully get backed up routinely and be accessible to your co-workers. There was a lot of expense tied to those solutions - for the devices the files were stored on, for the room to store the devices, and for the people who kept those devices working. It was no small feat and cost quite a lot. But, it was the cost of doing business. Today everyone is mad about the cloud, and for a lot of people, this is just another buzzword that they’ve heard, and so now they are using it too. The cloud gets talked about a lot in meetings; when it’s mentioned people tend to vaguely point or wave a hand over their heads, and on white boards they draw a puffy, white cumulus cloud with arrows in and out to indicate “cloud storage/computing” connections. But what does that really mean? In the simplest terms, cloud computing means storing and accessing data and programs over the Internet instead of from your computer's hard drive or your company’s network. The cloud is just a metaphor for the Internet. Cloud storage and computing can provide the benefits of greater accessibility and reliability; rapid deployment; strong protection for data backup, archival, and disaster recovery purposes; and lower overall storage costs as a result of not having to purchase, manage and maintain expensive hardware. A greater number of customers also use cloud solutions for DevOps as a capital cost-cutting measure. They can just “spin up” the resources for the duration of the project and then spin them down when it ends. Cloud storage is a service model in which data is maintained, managed, and backed up on remote servers accessed from the Internet. Those servers are maintained, operated, and managed by a cloud storage service provider that are built using virtualization techniques and include built-in security capabilities, such as encryption and authentication. Really good providers provide co-location services, meaning that the data is stored in multiple locations, which keeps it available even when part of the system is not available (also referred to as “down”) due to power outages, maintenance, etc. Users generally pay for their cloud data storage on a per-consumption, monthly rate. The most common use cases are cloud backup, disaster recovery, and archiving infrequently accessed data. 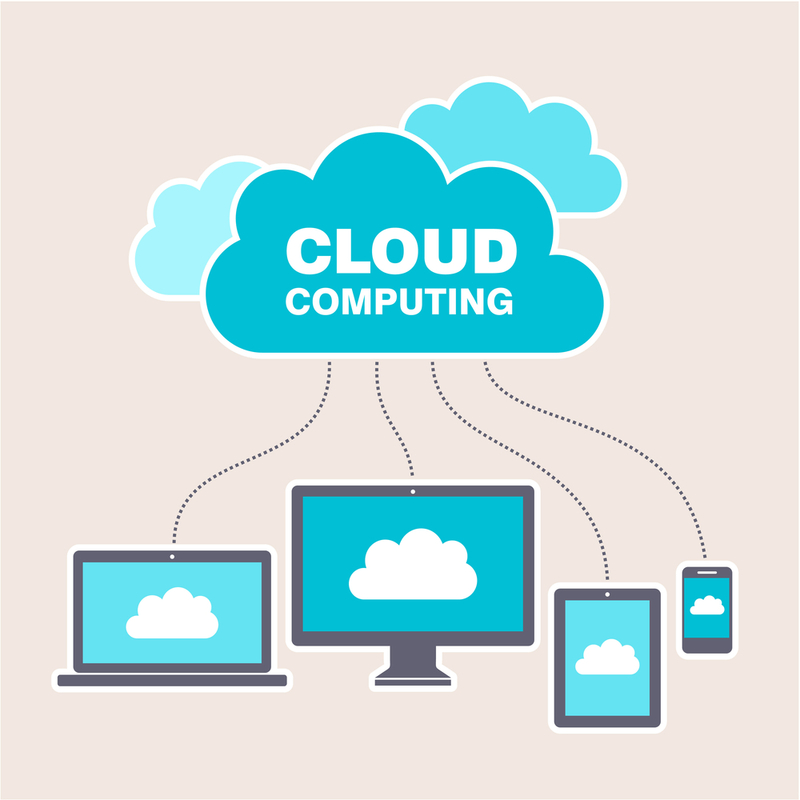 In the simplest terms, cloud computing refers to storing and accessing data (cloud storage) and programs over the Internet instead of your computer's hard drive. For a set up to be considered "cloud computing," you need to access your data and/or your programs over the Internet. In a big business, you may know all there is to know about what's on the other side of the connection; as an individual user, you may never have any idea what kind of massive data processing is happening on the other end. The end result is the same: with an online connection, cloud computing can be done anywhere, anytime. Software as a Service (SaaS) - A software delivery method that provides access to software and its functions remotely as a Web-based service. Software as a Service allows organizations to access business functionality at a cost typically less than paying for licensed applications since SaaS pricing is based on a monthly fee. Platform as a Service (PaaS) - A computing platform being delivered as a service. Here the platform is outsourced in place of a company or data center purchasing and managing their own hardware and software layers. Infrastructure as a Service (IaaS) - A computer infrastructure, such as virtualization, being delivered as a service. IaaS is popular in the data center where software and servers are purchased as a fully outsourced service and usually billed on usage and how much of the resource is used.